If you want to do live switching on your channel for a more dynamic video presentation, then you need to add different layouts that you can switch between. We recommend that you rename your channel and layouts to something more intuitive rather than using the default names, see Rename a channel and Rename a layout. Creating layouts gives you full control over what's presented to your viewers. You can do things like change the size and position of images, add custom backgrounds, up scale and downscale your video sources, add multiple audio source and text overlays to mention just a few. If you're live switching your channel, we recommend that you set the frame size to a fixed size instead of using the default automatic detection of source frame size. Setting the frame size to a fixed value ensures you don't experience any stream interruptions if the source frame size changes due to layouts that contain a single video source that has a different frame size than those in other layouts, see Configure video encoding. 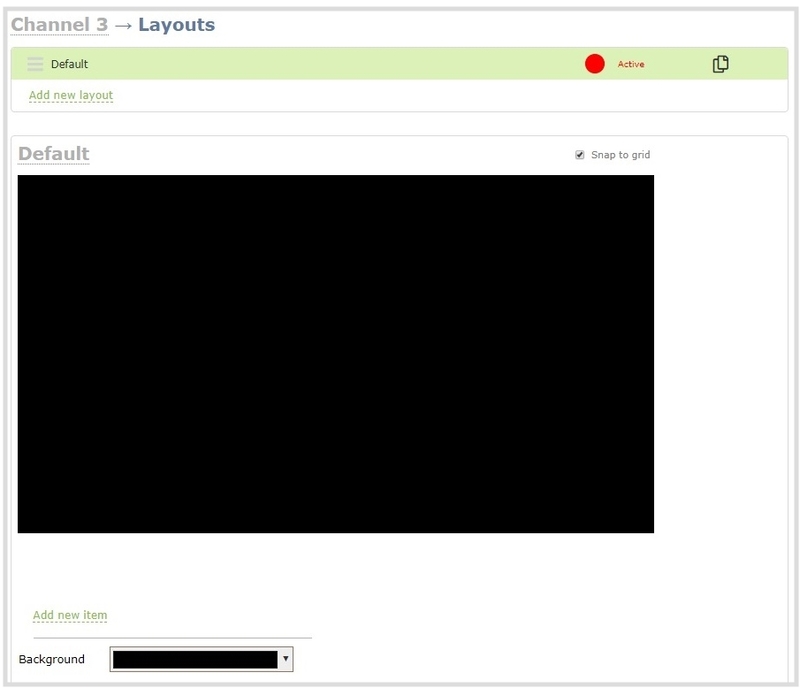 From the Channels menu, select a channel and click Layouts. The custom layout editor page opens. Click and drag the red and white handles on the corners of the video source to re-size it in the layout editor area. Click Save when you're done or continue to add additional video sources to the layout, resize and crop each video source to exactly how you want them to appear.